It is a lovely tea case which has 12 compartment slots and is Bleached picket-stained which opens as much as display the Clipper logo. 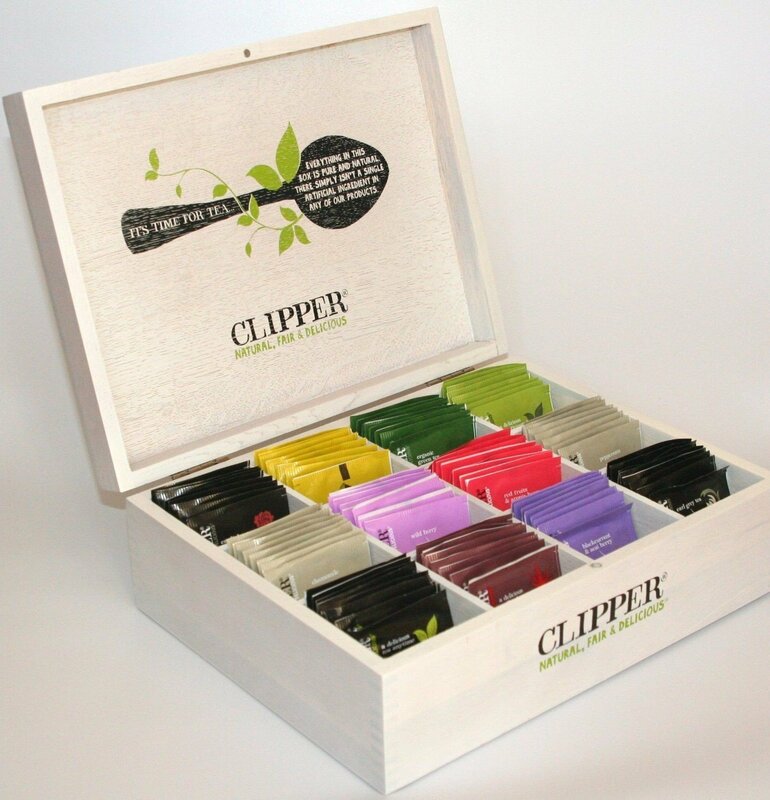 We will be able to fill every slot with 8 teabags, that is 96 teabags in total of quality Clipper tea bags. This sort of compartment box could be very well liked by hotels, guest houses and as a luxury birthday or Christmas present. Clipper Tea Flavours 96 Total : Clipper Organic Green Tea Fairtrade Enveloped 16 Tea Clipper Organic Earl Grey Fairtrade Enveloped 8 Tea Clipper Organic On a regular basis Decaf Tea Fairtrade Enveloped 8 Tea Clipper Organic Wild Berry Infusion Enveloped 8 Tea Clipper Organic Chamomile Infusion Fairtrade Enveloped 16 Tea Clipper Organic Redbush Enveloped 8 Tea Clipper Organic Lemon & Ginger Infusion Enveloped 8 Tea Clipper Organic Peppermint Infusion Fairtrade Enveloped 8 Tea Clipper On a regular basis Tea Fairtrade Enveloped 16 Tea See our other adverts for Clipper Enveloped teas.